“Before you met me, did you ever try and imagine what your mate would be like?” Ayden asked. “Kind of cheesy,” Ayden decided. “Still has some cheese factor, but I’ll take it,” Ayden declared. “I have no regrets,” Ayden informed him. Ayden was dumbstruck. That was exactly what he’d been doing. He couldn’t believe he’d let Brogan dictate their progress until the previous night, when he’d finally demanded that the man give him more. If life was about embracing what he wanted, Ayden craved nothing more than Brogan. Without a word, Ayden leaned forward and kissed his mate. 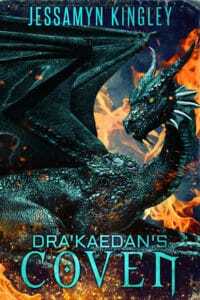 It was no gentle peck—his tongue dueled with Brogan’s, and the dragon took control. 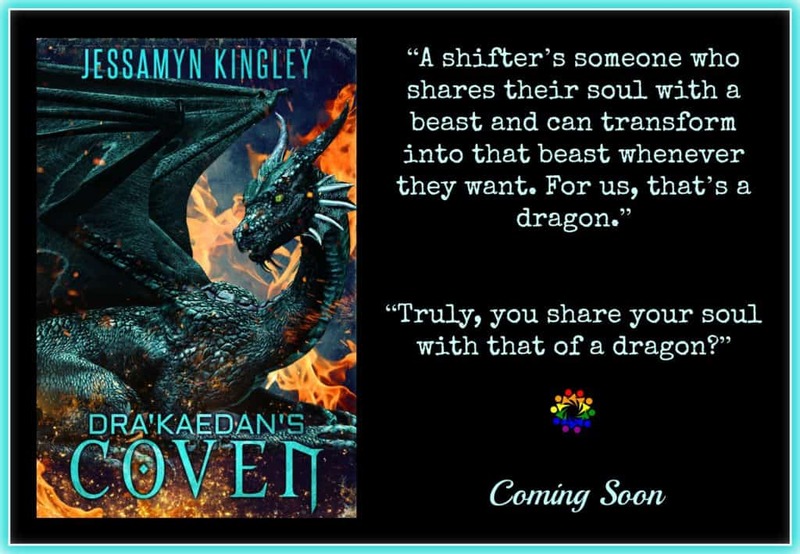 He hauled Ayden close and massaged his back with his large paws as their mouths made love. Ayden wound his arms around Brogan’s neck as moans tumbled past his lips. Long before Ayden was ready, Brogan pulled away. “I like it when you take charge,” Brogan told him. “Taking it slow, remember that?” Brogan reminded him from where he still sat on the sofa. “Damn it, why did we agree to something so stupid?” Ayden demanded and slapped his hands onto his hips. “I know myself, don’t I?” Ayden yelled. “What the hell’s going on in here?” Aleksander asked as he stalked into the living room. There was a tense silence in the living room for several minutes; then Brogan bent over in half from the force of his laughter. “How about I’ll allow kissing and maybe a little more to be determined on a case-by-case basis,” Brogan offered as he took a step closer to Ayden and grinned. “Give me one of those pecks you’re so fond of, and let’s go get a snack. We can talk about that little more you mentioned,” Ayden said as he held out his hand. Jessamyn Kingley lives in Nevada where she begs the men in her head to tell her their amazing stories which she dutifully writes down in what has become a small mountain of notebooks. She falls in love with each couple and swears whatever book she wrote last is her absolute favorite.